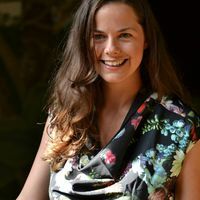 Having lived and worked in China, Hollie can bring to life the rich culture, sharing experiences and lessons through her work and research. On a personal journey of self discovery, Hollie took a sabbatical from a successful career, where she had won awards such as a 'National Excellence Award' for 'outstanding contribution to Business' and was voted one of the top 3 'Women In Technology under thirty' in the UK. On sabbatical, she volunteered in underprivileged communities in Asia and then returned to the UK to Co-Found an international charity foundation, designed to inspire generosity. Following years of professional and personal development, Hollie wishes to share some of the perspectives she has come across, in an easily accessible way. Her stories explore a range of teachings and beliefs, such as traditional Chinese medicine, yoga, mindfulness and meditation, all areas which are receiving a lot more interest in recent times. Having studied Psychology and English Literature at University, Hollie's interest in people and observations of cognitive behaviour enable her to create complex characters that delve deep into emotional experiences. One editor said that the story 'provides a great psychological insight into human existence'. Hollie has just embarked on a new chapter of her own life, becoming a Mum to her much loved daughter, and hopes to pursue her love of writing through a series of stories, enabling the reader to continue the journey as it develops.